Africa’s foremost scholar of Oral Literature and award-winning novelist, Isidore Okpewho, has passed on at 74. He was a prolific author, co-author and editor of about 14 books, dozens of articles and a seminal booklet, A Portrait of the Artist as a Scholar. 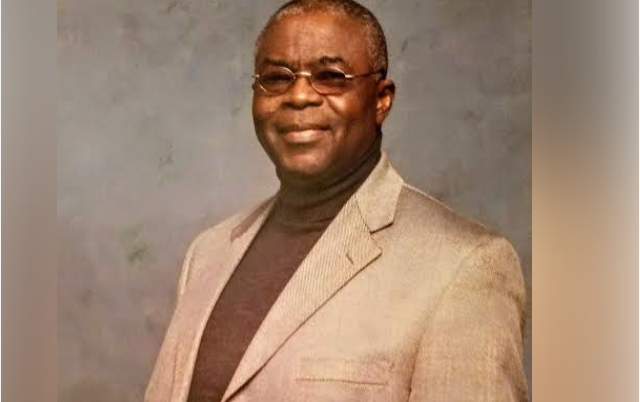 Prof. Okpewho died peacefully at a hospital in Binghamton, a town in Upstate New York where he had lived and taught since 1991. His teaching career spanned University of New York at Buffalo (1974-76), University of Ibadan (1976-90), Harvard University (1990-91), and State University of New York at Binghamton. According to family sources, the Distinguished Professor at State University of New York, Binghamton, passed away on Sunday, September 4, 2016, surrounded by family members. Although he battled illness recently, the scholar and humanist had demonstrated exceptional capacity to deal with his challenging health conditions. Indeed, only two years ago, his last book to which he had long committed his intellectual resources, Blood on the Tides: The Ozidi Saga and Oral Epic Narratology, was published by University of Rochester Press. Born on November 9, 1941 in Agbor, Delta State, Nigeria, Okpewho grew up in Asaba, his maternal hometown, where he attended St Patrick’s College, Asaba. He proceeded to the University College, Ibadan, for his university education. He graduated with a First Class Honours in Classics, and moved on to launch a glorious career: first in publishing at Longman Publishers, and then as an academic after obtaining his PhD from the University of Denver, USA. He crowned his certification with a D.Litt from University of London. With his two earliest seminal academic monographs, The Epic in Africa: Toward a Poetics of the Oral Performance (1979) and Myth in Africa: A Study of Its Aesthetic and Cultural Relevance (1983), Okpewho quickly established his reputation as a first-rate scholar and a pioneer of Oral Literature in Africa. For his distinctive and prolific output he was honoured with a string of international academic and non-academic awards that included the Nigerian National Order of Merit (NNOM), in Humanities for the year 2010. As a writer has rightly noted, “Recognition for Professor Okpewho's work has come with some of the most prestigious fellowships in the humanities: from the Woodrow Wilson International Center for Scholars (1982), Alexander von Humboldt Foundation (1982), Center for Advanced Study in the Behavioral Sciences at Stanford (1988), the W.E.B. Du Bois Institute at Harvard (1990), National Humanities Center in North Carolina (1997), and the Simon Guggenheim Memorial Foundation (2003). He was also elected Folklore Fellow International by the Finnish Academy of the Sciences in Helsinki (1993).” Prof. Okpewho also served as President of the International Society for the Oral Literatures of Africa (ISOLA). For his creative writing work, Okpewho won the 1976 African Arts Prize for Literature and 1993 Commonwealth Writers' Prize Best Book Africa. His four novels, The Victims, The Last Duty, Tides, and Call me by my Rightful Name are widely studied in Africa and other parts of the world, with some of them translated into major world languages. He is survived by his wife, Mrs. Obiageli Okpewho; his children: Ediru, Ugo, Afigo, and Onome, as well as members of his extended family. Funeral arrangements will be announced by the family in the coming days. May his soul rest in peace. Scholar and Novelist Isidore Okpewho. Born on 9 November 1941; died on 4 September 2016, aged 74. Nduka Otiono is a scholar and writer. He is currently an assistant professor at Carleton University in Canada.